A West Lothian firm has expressed delight at the regular business received from an innovative mining firm and has praised its efforts in boosting the local economy. Banks Mining has revealed it is spending close to £4million per year with various central belt suppliers at its Rusha Surface Mine site in West Lothian. The Hamilton based employer has been operating at the Rusha site, near Breich, since 2012, as part of a seven-year project to extract coal from the site. The coal extracted from Rusha is used for industrial, domestic and coal fired power generation in both Scotland and England. 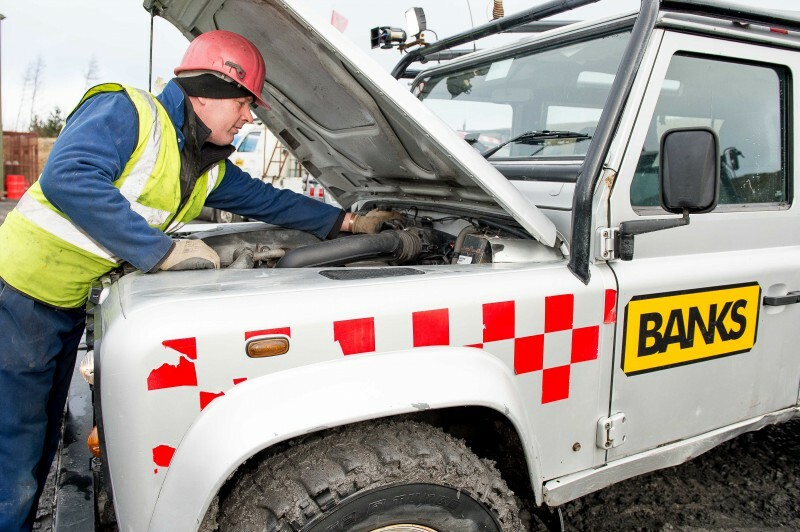 As part of the substantial local investment, a contract has been in place with Broxburn based mechanics J and J McIndoe, who regularly service the four on-site Land Rovers and a Toyota pickup – which face a much tougher life than normal road based vehicles. The “well-worked” vehicles are subjected to gruelling conditions in the operational surface mine, with rough terrain and the carrying of heavy loads proving a constant test. 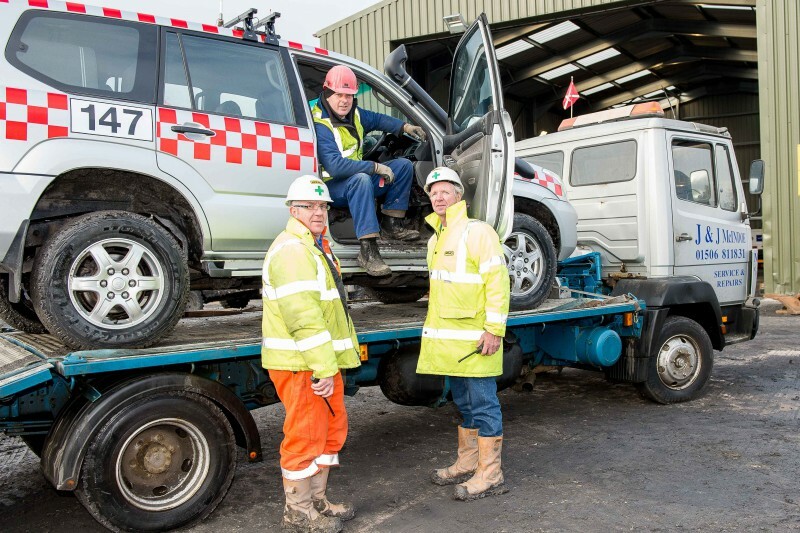 Maureen McIndoe, a member of the family business, at the West Lothian garage said: “This is our first time working with a mining company and its’ well-worked vehicles. She added: “It’s great to see a business invest in West Lothian and commit to using local business to such an extent. 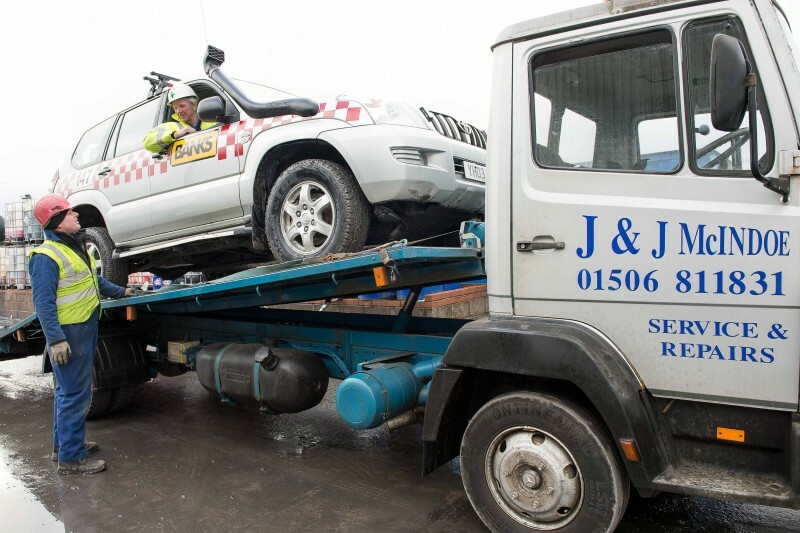 Jim Donnelly, Banks Mining Director, has praised J and J McIndoe for their efficient and reliable service and believes the partnership is a great example of how the firm strives to work with local suppliers. Jim said: “We are delighted that Maureen McIndoe has publically expressed her supportfor our operations here at Rusha. Banks Mining has permission to undertake operations at Rusha for a seven-year period, and once coaling is complete, the 154-hectare site will be fully restored and landscaped to a mixture of woodland and agriculture. 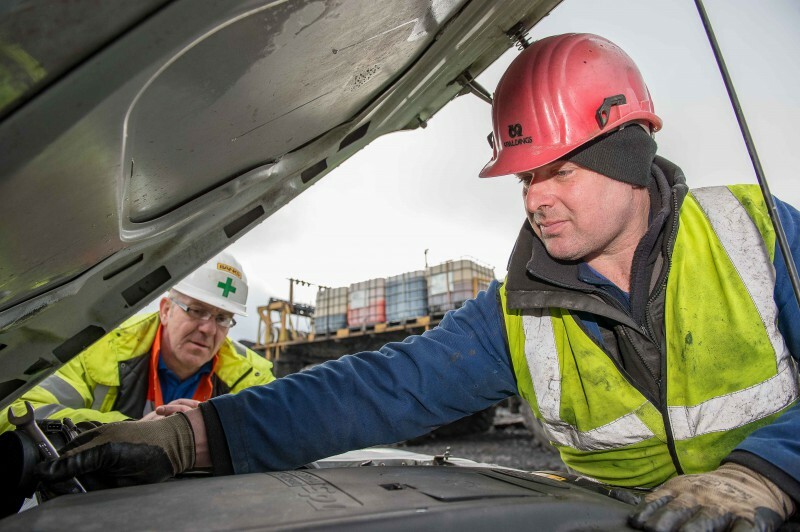 The company estimates that the Rusha site will contribute more than £5million to the local economy every year through wages and other supply chain contributions, and in addition to the people employed on site, it will also support a number of other off-site jobs in related transport and supplies activity.